This week you can stock your Kindle (or Kindle app) with 3 novels and a novella for just $3. 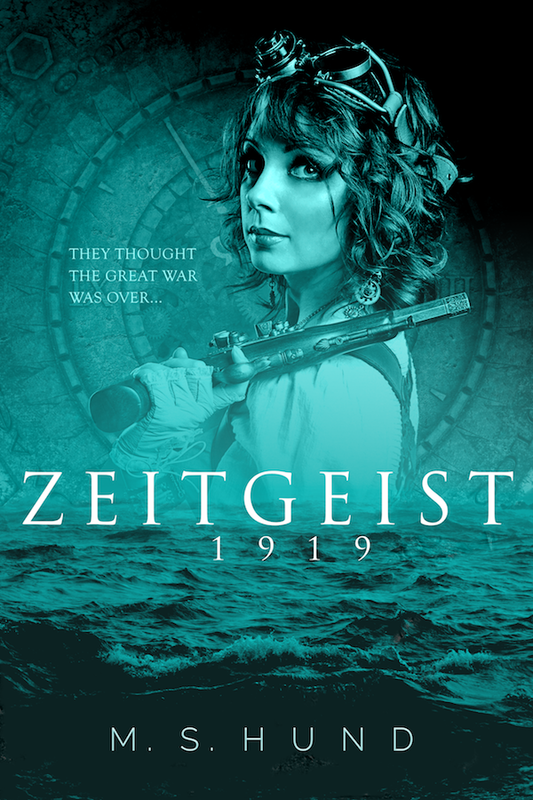 Get the novels Zeitgeist 1919, Seven: The Haunted Girl of NuLo, and The Pike for 99¢ each and the novella Quinboy: A Tale of NuLo for the low-low price of free. Now is the autumn of our cheap content. Close out your summer or head back to school with a boatload of FREE and 99¢ ebooks from yours truly. Almost everything in the M.S. Hund catalogue is on sale this week, so head over to Amazon and fill your Kindle (or equivalent device). Celebrate the holidays with FREE and 99¢ ebooks from yours truly. Did you find a new Kindle, tablet, or phone under your tree? Maybe somebody special gave you an Amazon gift card? Then there's no time like the present (zing!) to grab most of my books in this special holiday sale. Enjoy the books, and don't forget to post a review or otherwise let me know what you thought about the stories. Today is launch day for The Dreambetween Symphony: Omnibus Edition, an ebook compiling all four books that make up the Dreambetween series. For this week only (until Friday at 5pm EST), it will be available at a special launch price of 99¢ (regular retail price: $5.99). Complete your collection or experience the nearly 1000 pages of the Symphony in its entirety for under a buck! Alternatively, if you happen to be a Kindle Unlimited or Amazon Prime subscriber, you can borrow the book for free! The Dreambetween Symphony is a tale that ranges over three millennia and three continents, following a family both cursed and blessed by the power of their dreaming blood. It is a story of dark lords and orphan girls, of sorcerous songs and tragic loves. But most of all, it is the story of Lily, who must come to terms with her power to save the Dreambetween from its darkest hour. Collected here for the first time in one omnibus edition are all four books of this historical fantasy series. 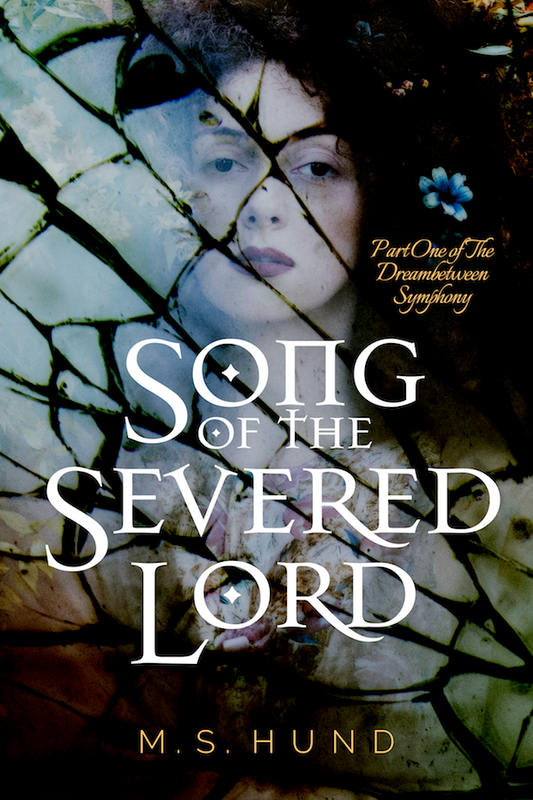 Follow Lily’s journey in the novels Song of the Severed Lord, Exile Ballad, and Requiem. Then explore the world of the Dreambetween further with the companion volume Preludes & Elegies, a collection of short stories and appendices. The Dreambetween awaits. Are you ready to surrender to its siren call? Beginning this week, I will be removing the ebook versions of my work from sale at all retailers except Amazon. While the print editions will continue to be available from other storefronts, for the foreseeable future the only electronic editions will be Kindle ones. This is not a step I take lightly, but I have not seen sales numbers on the other retailers that would justify giving up what being exclusive to Amazon offers. In the meantime, please be assured that you do NOT need a Kindle to buy and read my ebooks (more on that later) and that I fully intend to return my ebooks to wider distribution in the future. There is a potential upside to this move, but only if you’re not militantly anti-Amazon. In fact, if you subscribe to the Kindle Unlimited program or have access to the Kindle Lending Library through your Amazon Prime subscription (you did know about the Kindle Lending Library, right? ), you’ll soon be able to borrow my ebooks as part of those programs (and compensate me for every page you read in the process ;-). I’ll also be scheduling more sales and giveaways as a result of this narrowed market focus (watch this space). "What if I don’t have a Kindle?" No problem. Amazon makes Kindle apps for almost every tablet, smartphone, and computer. "But what if I don’t like the Kindle reading experience?" Every book I sell (and have ever sold) is DRM-free by choice. You can use freely available software like Calibre to convert the Kindle editions of my books to a variety of formats, enabling you to read them wherever and however you like. That includes converting to EPUB format for reading in your favorite ebook app (iBooks, etc) or on devices that don't have Kindle apps available (such as Kobo or Nook). But I really, REALLY hate Amazon and don’t want to spend any money supporting them! Technically, that’s not a question. But send me an email at mshund@gmail.com and we’ll see if we can work something out. What if Amazon isn’t available in my neck of the globe? Hit that email link above. But I despise reading books on an electronic device. Again, that's not a question. Also, I already answered this above. But to repeat... My print books will continue to be available on every market they were previously available on. You can even walk into a Barnes & Noble (gasp!) and ask them to order my books for you. Alternatively, if you pester your local library, maybe they can order a copy or two for their shelves. I think that about covers it. If you have any questions or concerns, hit me up on email or social media (links in the footer below). I know this isn’t great news for some of you who love platforms other than Amazon, and I do apologize for that. Sadly, this is the state of the ebook market today. I wish Amazon didn’t require exclusivity to play with their toys, but at the end of the day, they have the best toys and the widest reach. I don’t like it, but this is the best business decision for me at this time. Exile Ballad, the second part of The Dreambetween Symphony, is now available in 6x9" trade paperback and Kindle editions (eBook also coming to Nook, iBooks, and Kobo later this year). As part of the launch of the book, I'll be running a special launch week sale on both Exile Ballad and the first book in the series, Song of the Severed Lord. Stay tuned after the blurb for details on the sales and links to get your copies of the books! Exile Ballad follows the intersecting lives of three women of the dreaming blood born millennia apart. From late Iron Age Britain to occupied Poland during World War II to the modern day, these women are united by violence, isolation, and vengeance. Enjoy a special launch price for Exile Ballad, and get Song of the Severed Lord free! The Kindle edition of Exile Ballad will be available at the special launch price of 99¢ before returning to the list price of $2.99 on Sunday, February 8th. "But wait," I hear you say. "I didn't read the first book in the series!" You're about to run out of excuses because the Kindle edition of Song of the Severed Lord will be available for FREE during the same time period (Feb. 4-7)! Both titles are also available in 6x9" trade paperback through the following links and any of my print books that are purchased through Amazon allow you to download the Kindle edition for free through the Kindle Matchbook program. I hope you enjoy the books, and please don't forget to leave a review when you're done!